This e-book is not just about technique and equipment. 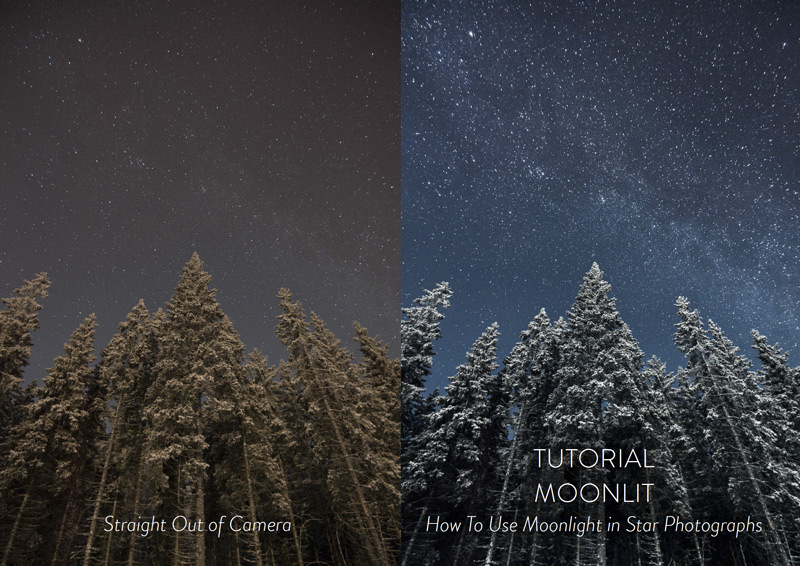 It's essential guide to stunning Astrophotography: How to Capture Stars and Milky Way. 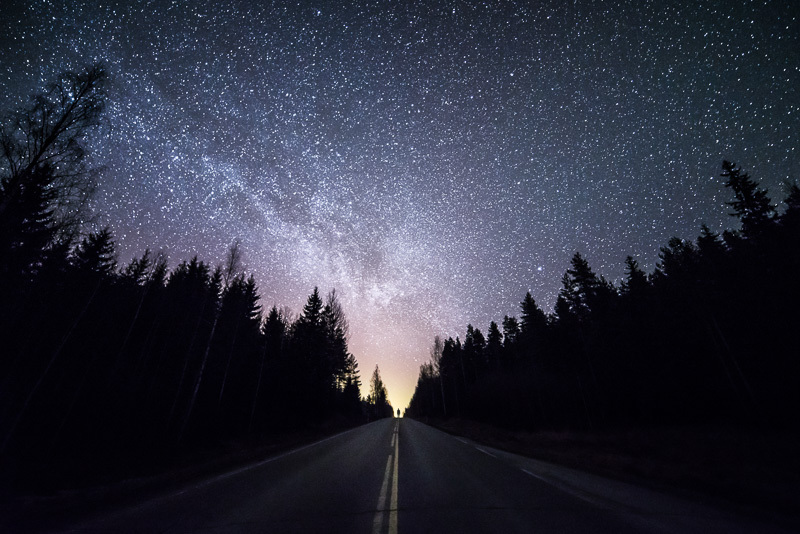 If you are just starting star and astrophotography, this Masterclass is perfect for you! 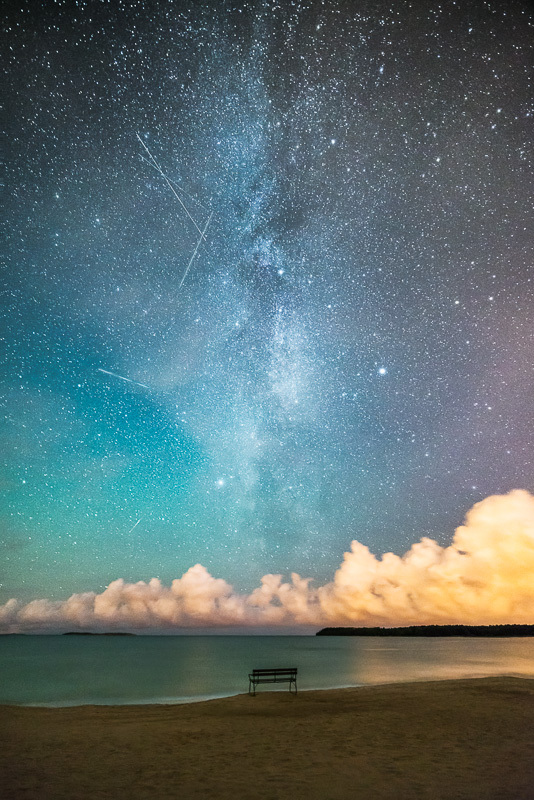 Even if you are an experienced photographer, there are riveting post-processing techniques with unique insight to star photography. 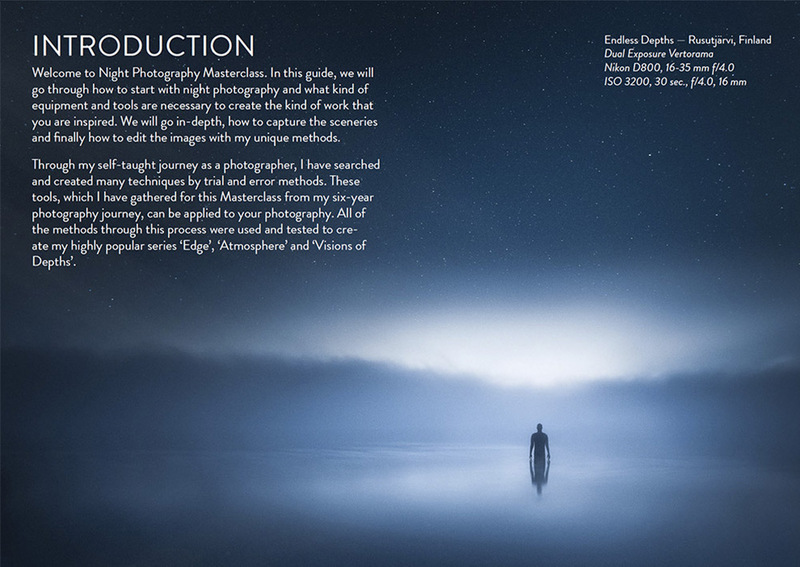 The tools, we have gathered for this Masterclass from award-winning photographer Mikko Lagerstedt's work can be applied to your photography. 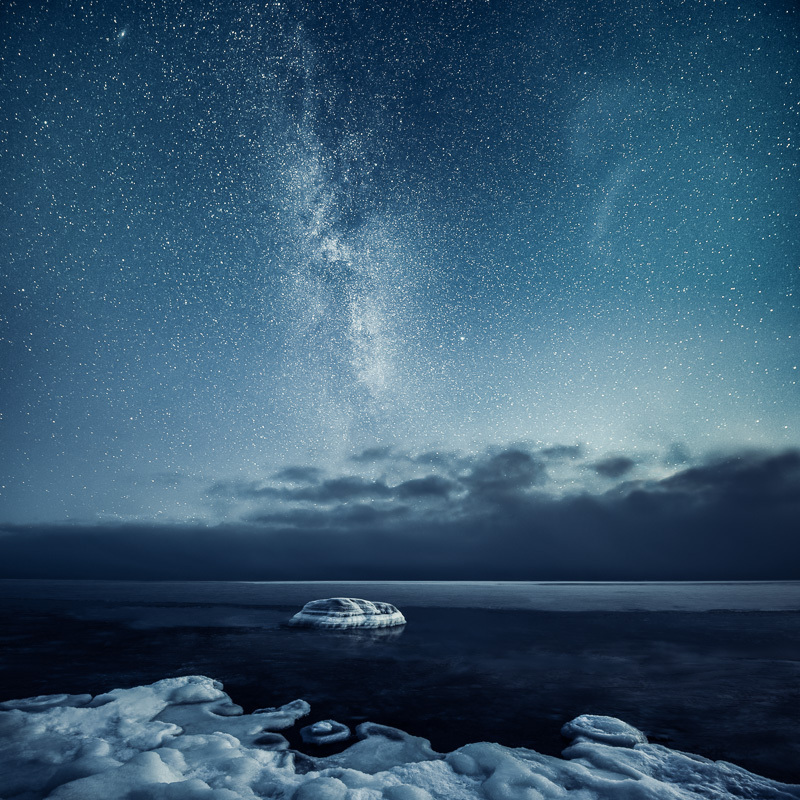 All of the methods through this process were used and tested to create Mikko's highly popular series ‘Edge’, ‘Atmosphere’ and ‘Visions of Depths’. Scroll down to see example images created with the Masterclass. "Mikko, thank you for another awesome product that inspires me and drives me to be a better photographer and helps me to continue to reach higher and higher. Thank you for sharing your talent and knowledge with us! I love your work!" 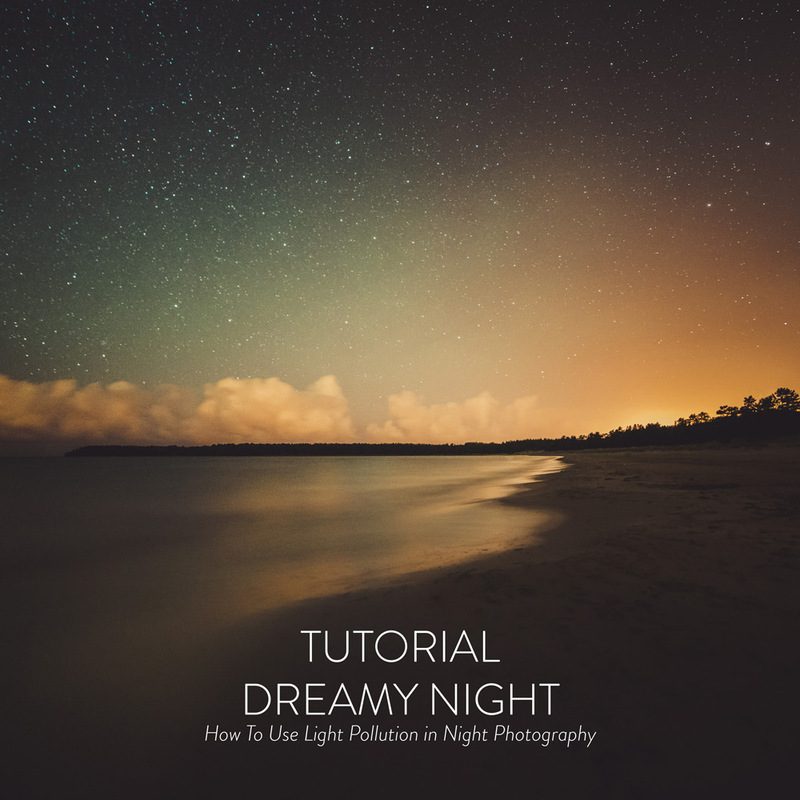 "This e-book by Photography Mikko Lagerstedt is a great piece of advice for you night shooters and creative guys out there. 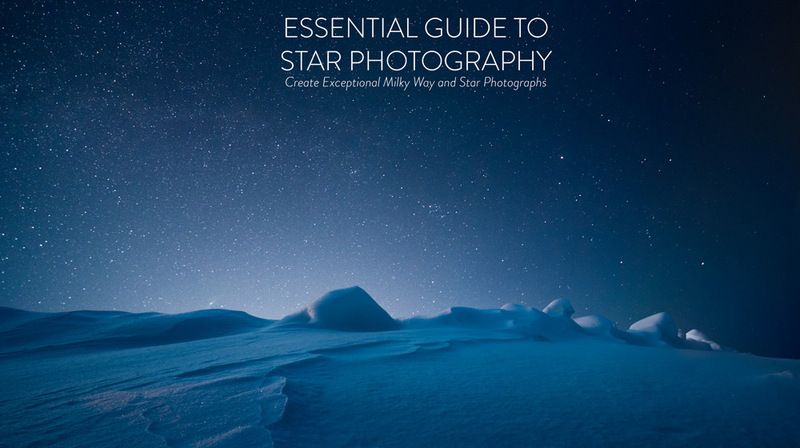 I was lucky to check this for Mikko before publication and I can say I learned a LOT about things related to night photography. Worth every penny for sure!" 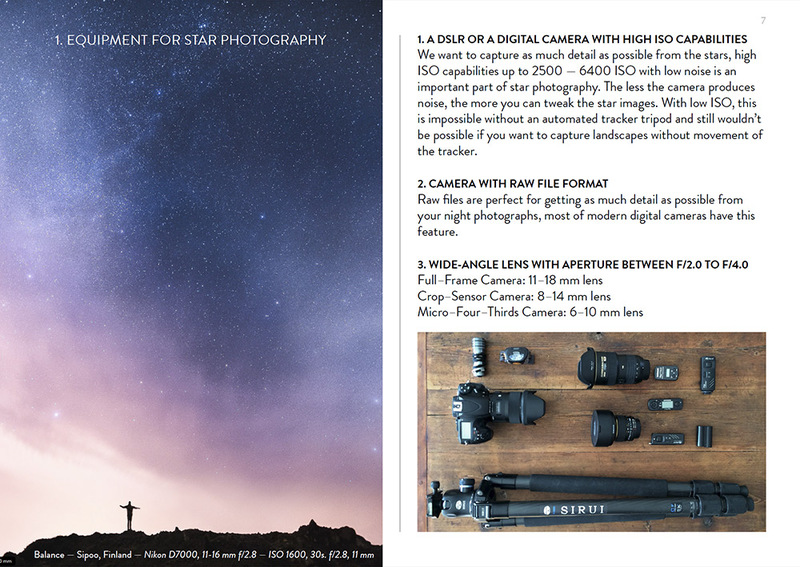 "It's a Superb resource and must read for anyone getting into Astrophotography whether beginner or advanced!" 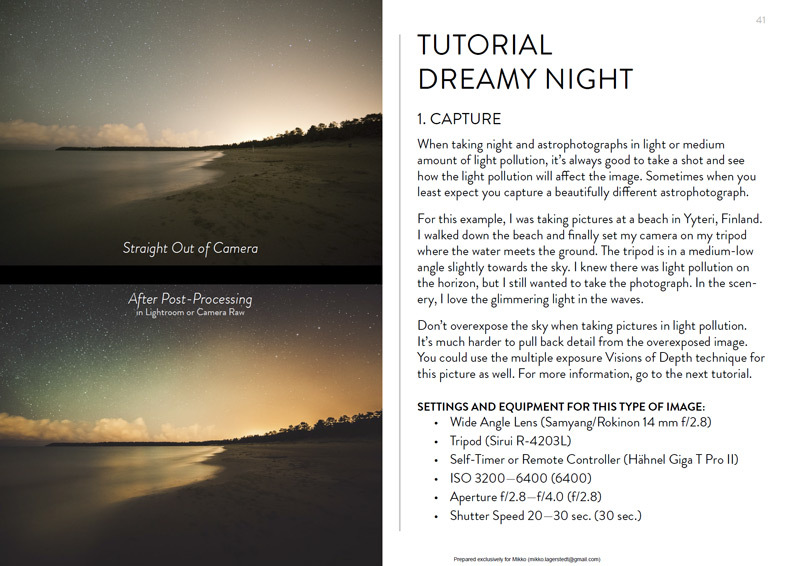 "Downloaded and did first read through...great tips, phenomenal photos, fabulous eBook! Can't wait to put some of those great tips to use!" "Thank you, just downloaded - this is what has been missing from my life!" "Read the book! Definitely worth every penny! Now I want more!" 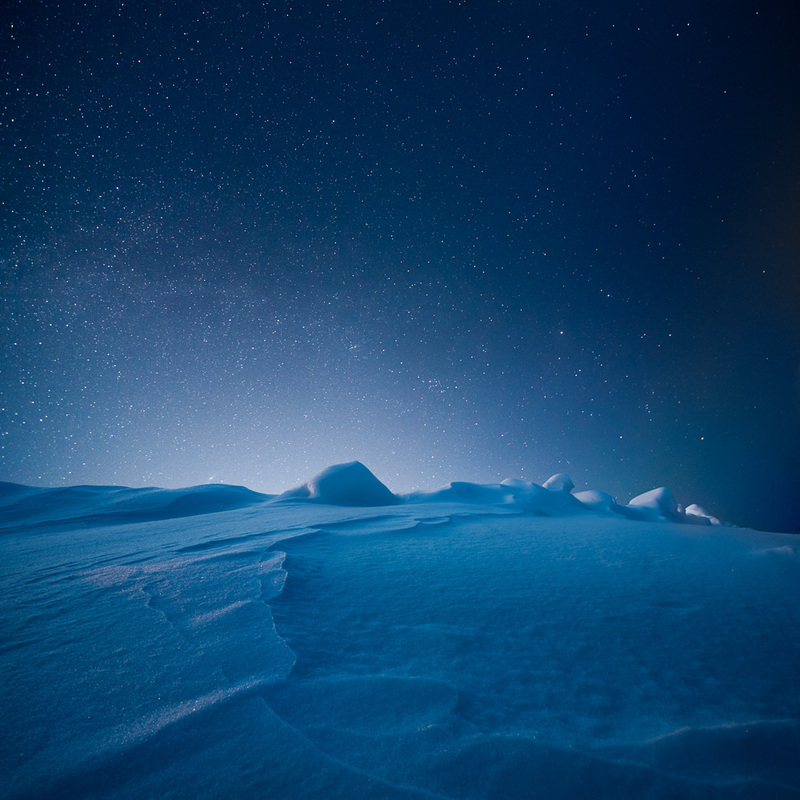 Mikko Lagerstedt is a professional award-winning, fine art photographer from Finland. Mikko grew up in the Finnish countryside and was surrounded by nature and unique landscapes. He often found himself wandering in forests and plains in waist deep snow. His love of nature and photography evolved from those early days. 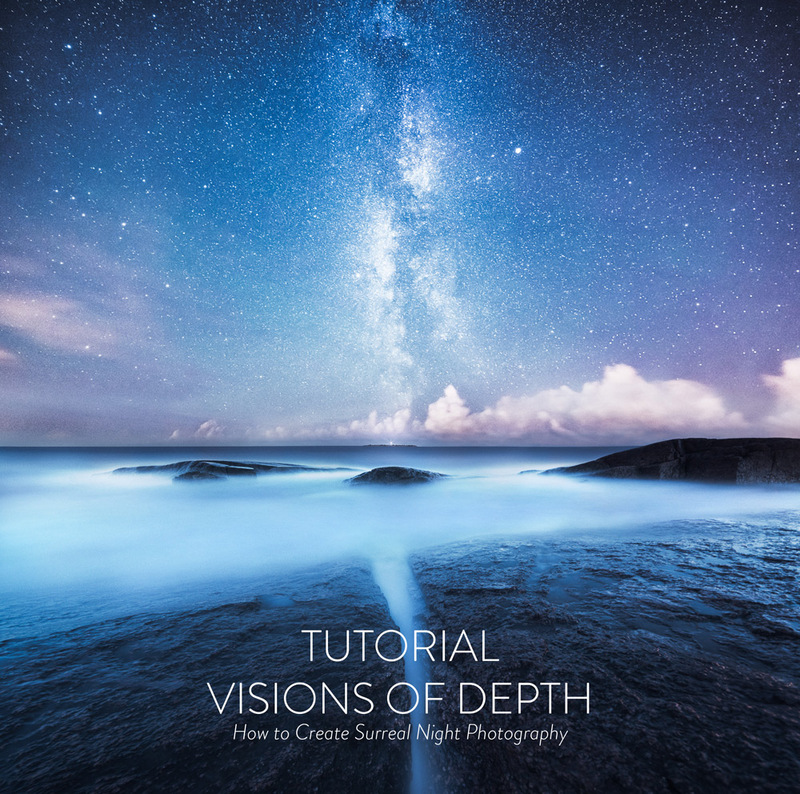 Mikko has written articles for Advanced Photoshop Magazine, and his images have appeared in publications around the world, including magazines Digital Photography, Amateur Photographer, Daily Mail, The Telegraph, and many others. Mikko’s photographs have been used in various ad campaigns for brands such as Chevrolet, UVU, TP-Link and many others. 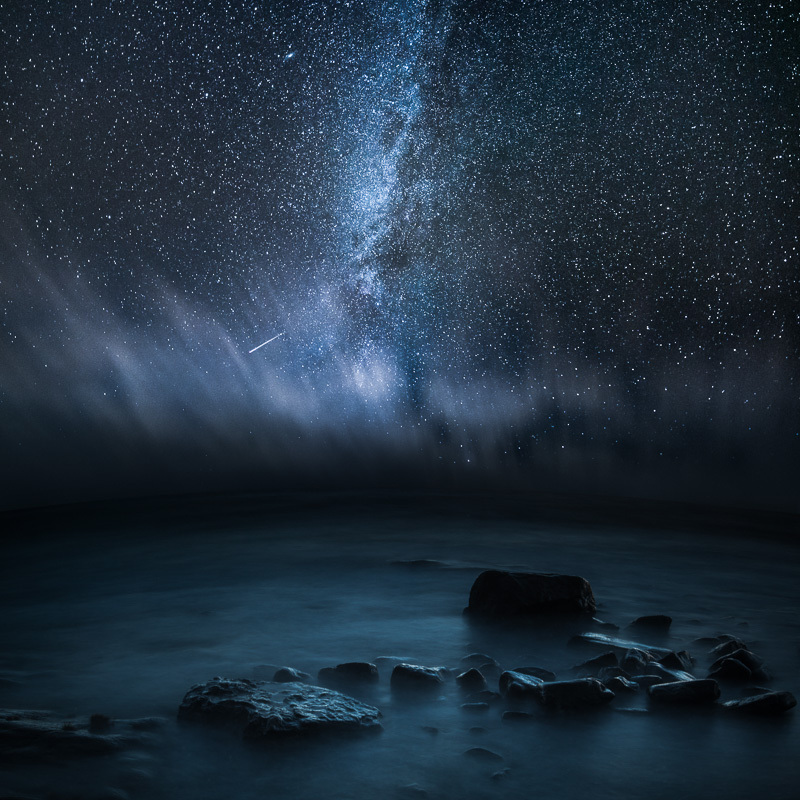 "Mikko Lagerstedt's images do all the talking. No, scrap that. They scream and shout brilliance." "Utterly captivating, the images are full of imagination that endeavors to relay a sense of magic after dark." 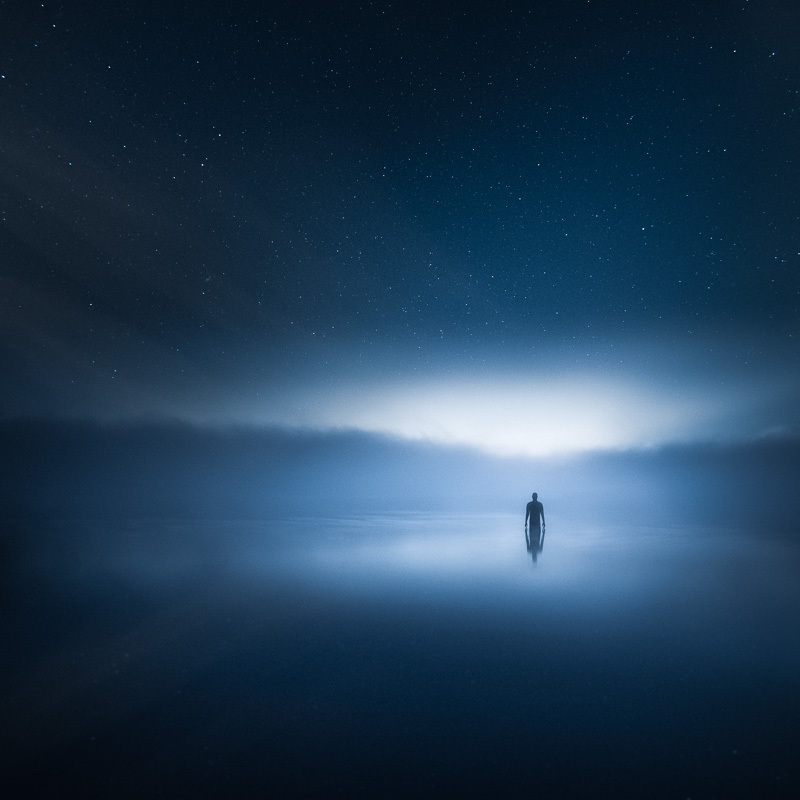 "By finding his unique vision, Mikko has managed to create a portfolio of beautiful and atmospheric images that have captured the imagination of others." images that are emotional, edgy, original, and most of all capture a unique moment in time." What programs do I need to read the e-book? If I purchase the Masterclass do I have to download it immediately? 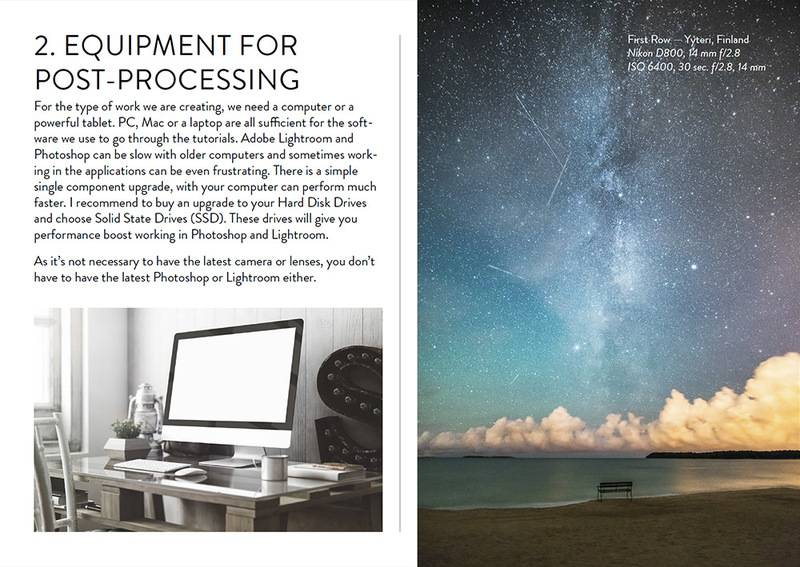 What kind of software do I need to follow through the Star Photography Masterclass e-book tutorial part?